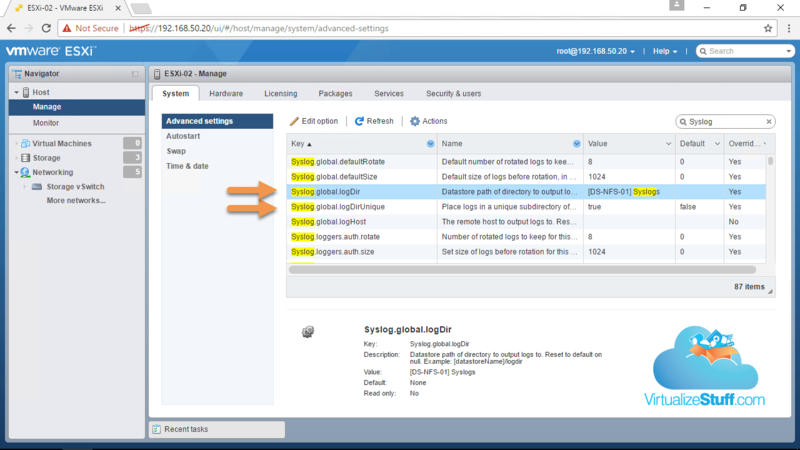 To resolve this we’ll configure all ESXi hosts to point to the same NTP Server, in my case it’s the Synology NAS (10.1.10.101). Once the Domain Controller (DC) is deployed we might go back and re-point ESXi hosts to the DC or simply point the DC to the same external source the Synology NAS is using: time.google.com. 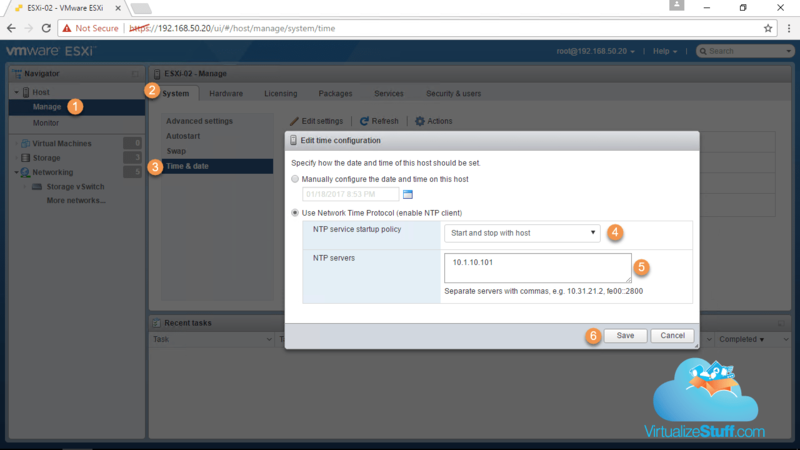 Figure-1 & Figure-2 provides the steps required to configure the NTP Server. It’s important to have redundant uplinks, preferably on separate physical nics to provide high availability for the management vSwitch. 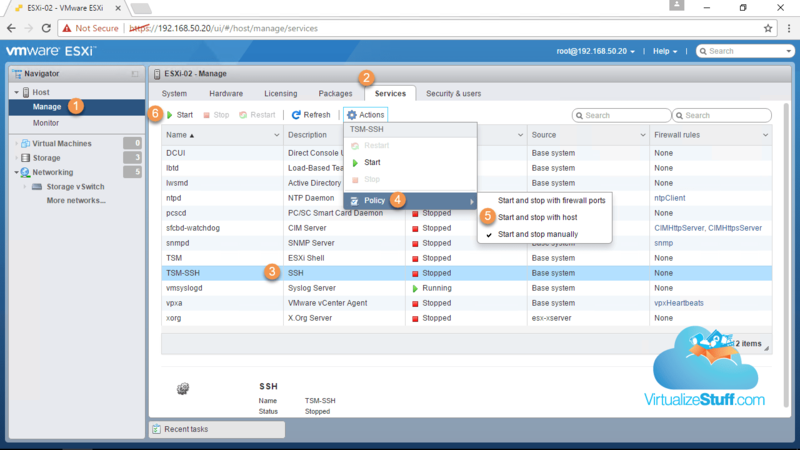 After the initial installation of ESXi only a single physical uplink (vmnic0) is used for management. To add resiliency let’s add another uplink (vmnic4) as shown in Figure-4. In future posts we’ll discuss steps to ensure your network doesn’t have a single point of failure. Now we need a place to store ISO images and VMs, in this section we’ll focus on NFS datastore. I’ve pre-configured the NFS share on the Synology NAS with two IP interfaces and permissions only allow the 192.168.60.0/24 network access. Instead of creating boring screenshots I thought it would be more enjoyable to watch a quick demonstration video using the information above. The video can be found in Demo section below simply click “4. 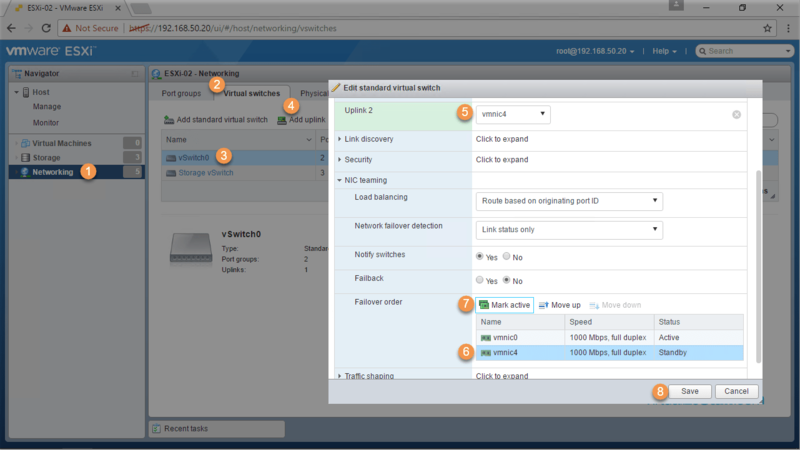 Create Storage vSwitch & Mount a NFS Datastore” to view that section of the video. Figure-5 and Figure-6 provide the location of the advanced settings that need to be changed. 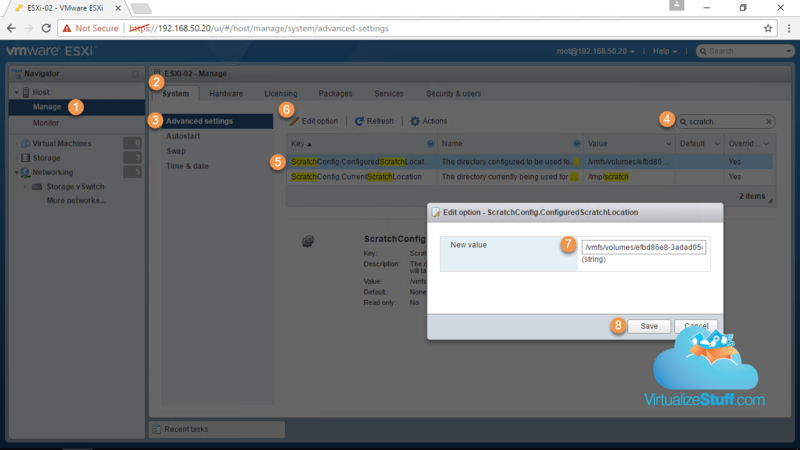 Once we have vSAN configured we’ll circle back and to create a vSAN coredump object for our ESXi host(s). 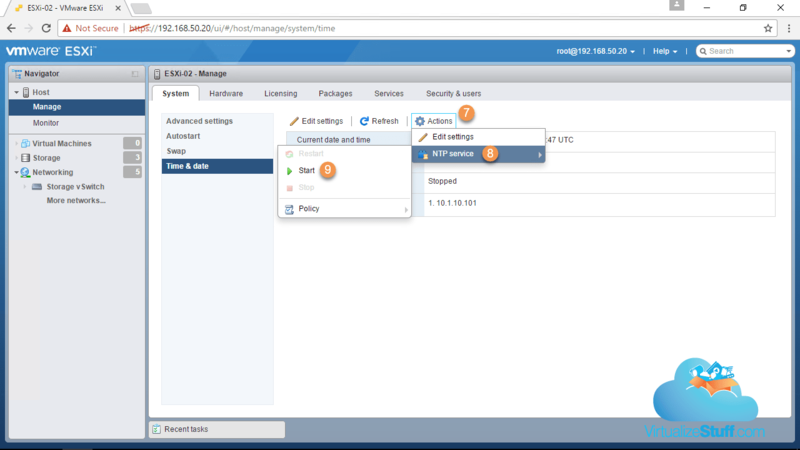 In Part 2 we look at configuring iSCSI with redundancy as well as create a VMFS6 datastore so stay tuned!